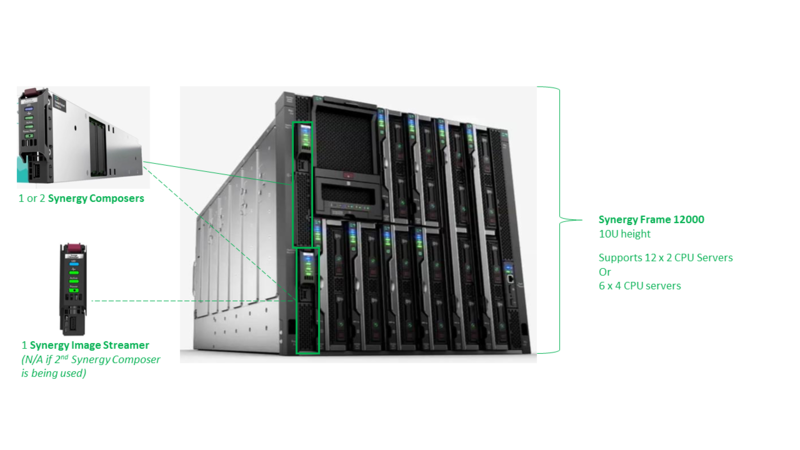 The new architecture starts with a new blade chassis framework, known as the HPE Synergy Frame 12000. The Frame 12000 is a 10U chassis and supports up to 12 x 2 CPU blade servers, or compute modules. In addition, it supports up to 6 x 2.6kW power supplies and contains 3 I/O Fabrics (more on this below.) For management, the Frame 12000 supports one or two Synergy Composers – an embedded management server supporting all of the server, storage and network functions within the chassis. Another management option is the Synergy Image Streamer – a module that stores bootable server images. NOTE: The existing ProLiant blade servers and Synergy compute modules are not interchangeable. The Synergy D3940 SAS drive enclosure offers a 12Gb architecture supporting up to 40 x 2.5″ hot-pluggable drives. This enclosure offers direct attached storage for up to 10 compute modules inside the Synergy Frame 12000 and supports 12G and 6G SAS, SATA and SSDs. 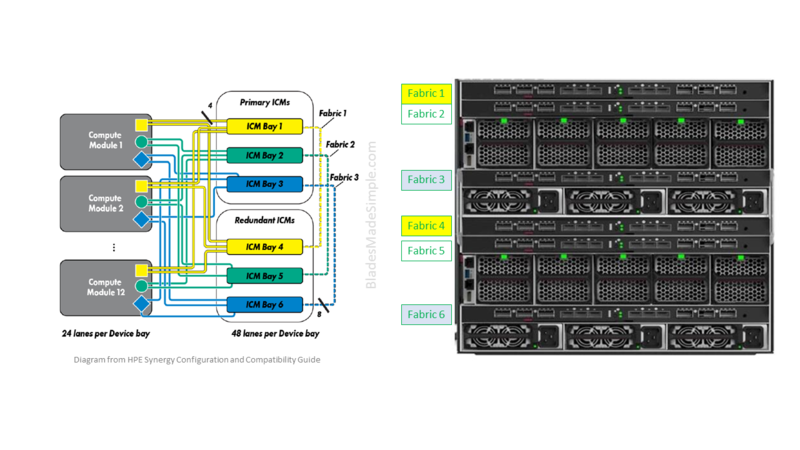 When configuring a Synergy frame with one or more Synergy D3940 storage modules at least one SAS Connection Module must be populated per Synergy 12000 Frame in either ICM bay 1 or ICM bay 4 to provide connection between the storage modules and compute modules in that frame. Although this architecture was announced in January, it’s unclear if it is shipping yet. I’d recommend reaching out to your HPE Rep for details. For a quick list of all of the current Synergy Quickspecs, click here.